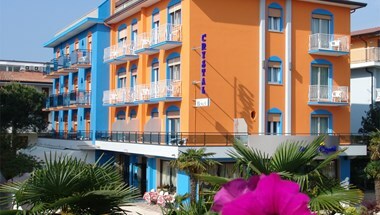 The Crystal Hotel is situated at few meters from the west beach in the élite area of caorle, 50 meters from the tennis courts and mini-golf, 100 meters from the west-doch "Orologio". 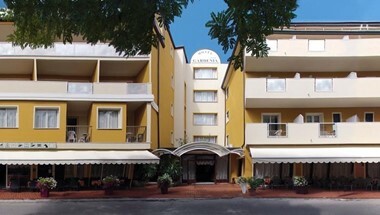 It is confortable and modern equipped: all rooms have private bathroom, air conditioned, telephone, tv-sat, safe-box, hair-drier and balcony. 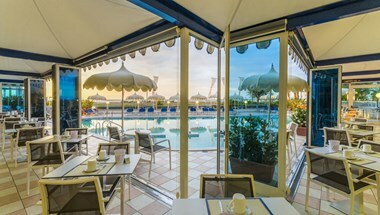 The 4th floor in with you can find U.V.A solarium, an a wide terrace with heathing-huts. 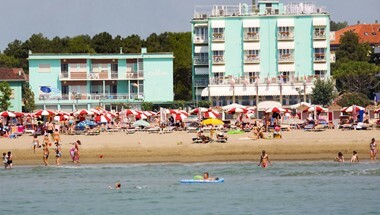 The private beach is equipped with bathing-huts, dech-chairs, beach-umbrellas. The cooking is personality attendent by the hotel owners. Central heating plant, Parking. 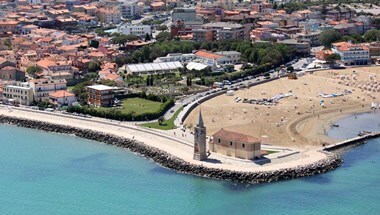 We would like to welcome you to the Hotel Sanremo and the Residence La Serenissima in Caorle, located in a lovely position facing the sea and in view of the church of Madonna dell’Angelo. 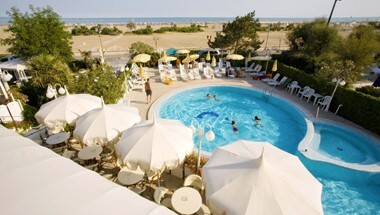 Our hotel overlooks the beautiful wide Eastern Beach (spiaggia di Levante) of Caorle and is just a few meters from the historic town centre, so it is ideal for families with children. The fact that we have been running as a family business for over 80 years is a sure guarantee for a great holiday experience for those who are looking for a peaceful and comfortable vacation. As we are always ready to host our guests with the utmost enthusiasm, you will find all the special attention and kindness that you are looking for on your holiday, an ideal solution for those who want to feel at home on their vacation, perhaps together with their beloved four-legged companions. 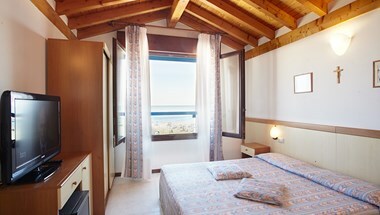 The Residence is located on the "Spiaggia di levante" only 70 meter from the sea and 200 meter from the town centre. 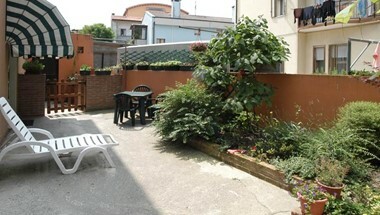 Our Residence has flats with one or two rooms, bathroom and kitchen. 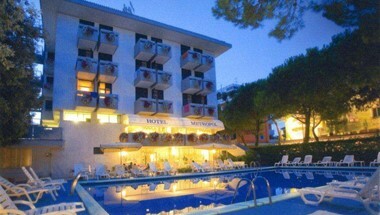 Each apartment has flat-screen TV, air-conditioning, private beach and parking.